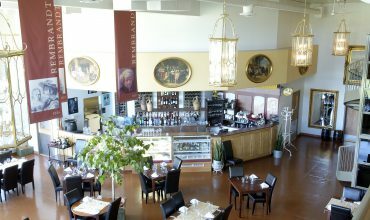 A beautiful upscale restaurant, banquet and conference centre incorporating a 260 seat banquet hall, a 90 seat main dining room, a 30 seat private room, a mezzanine area seating 50 guests, cathedral seating for 400 guests, and a three-season patio accommodating outdoor dining. 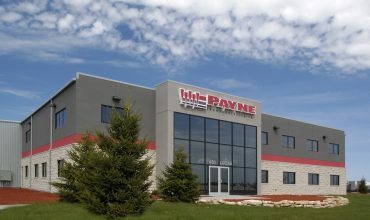 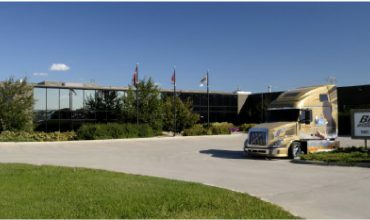 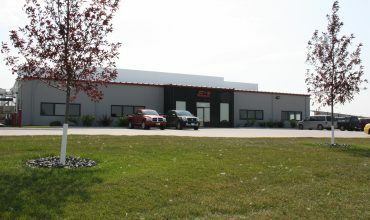 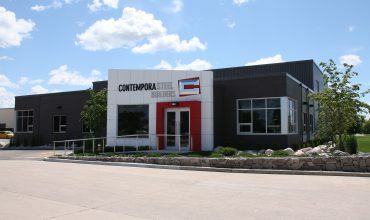 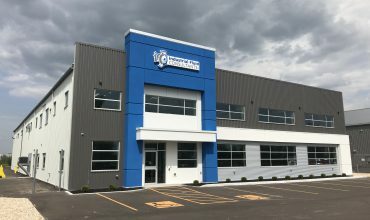 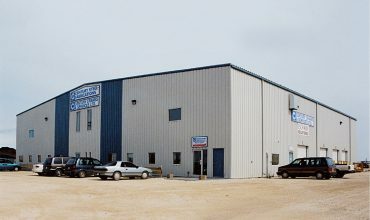 From the bright and open showroom to the warehouse/storage facility and maintenance garage, it is clear that “safety” is what this company is all about. 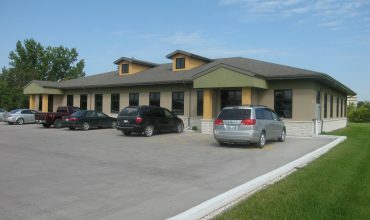 Spacious offices and training rooms round off this well-designed, multi-use building. 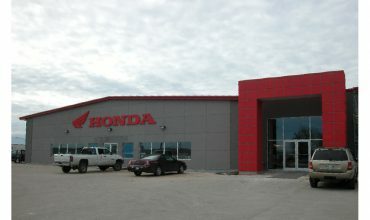 The brilliant red fascia and trim catches the attention of all passers by. 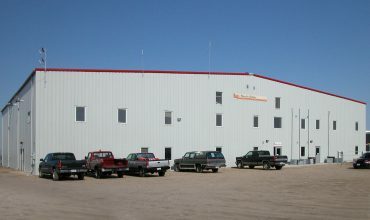 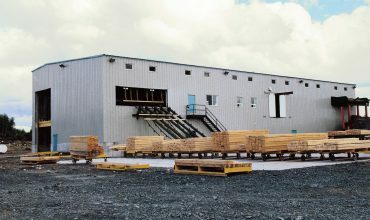 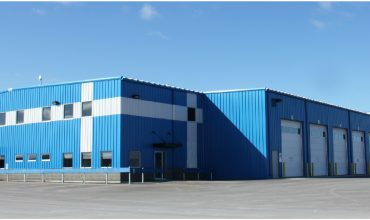 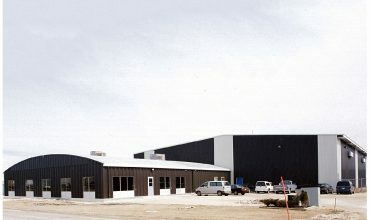 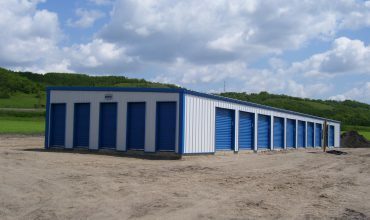 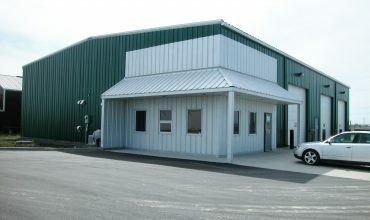 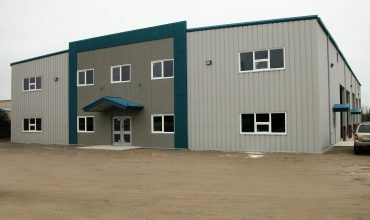 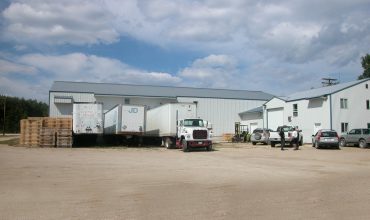 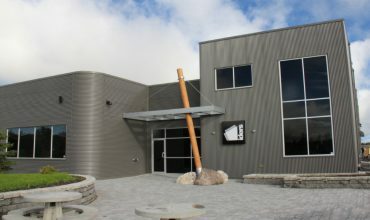 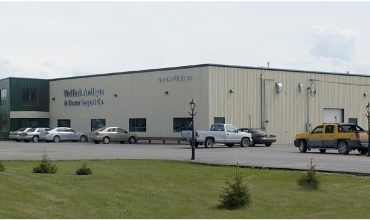 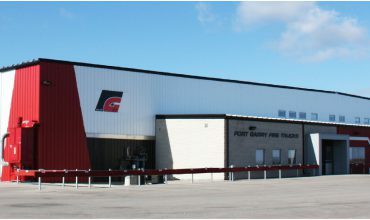 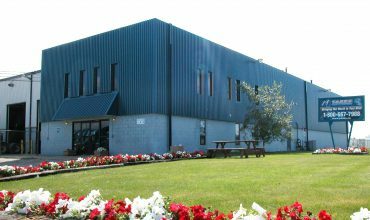 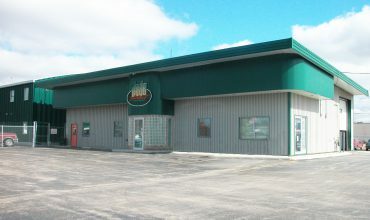 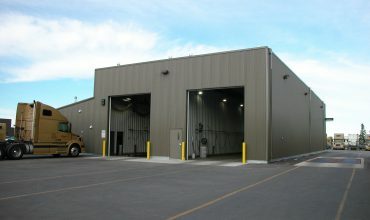 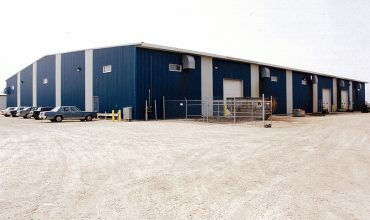 The primary function of this building is a maintenance and storage facility for drilling equipment. 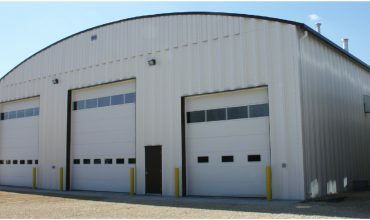 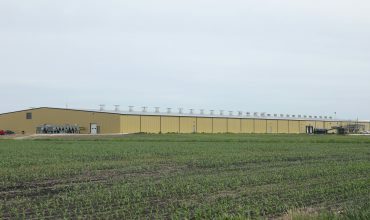 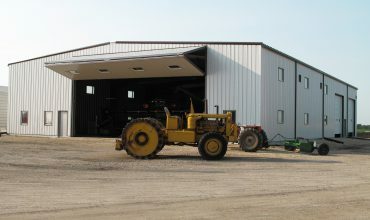 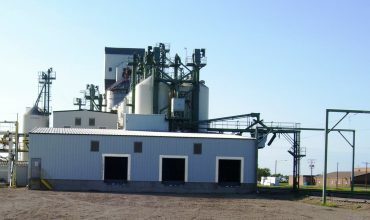 This appreciably sized structure, complete with four large overhead doors, is practical and straight forward … just what this company required. 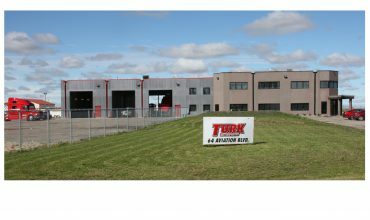 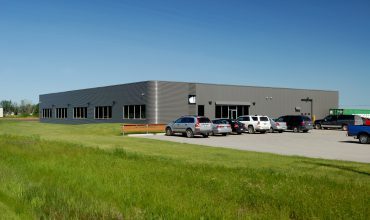 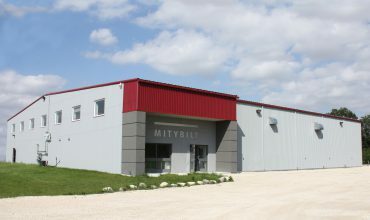 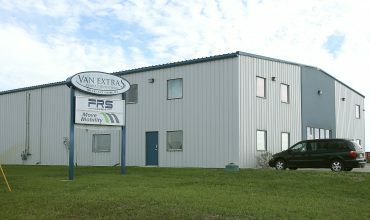 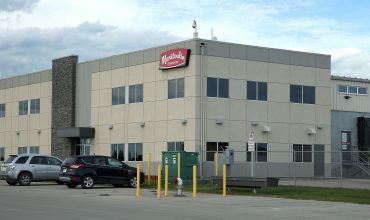 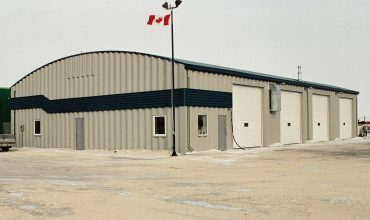 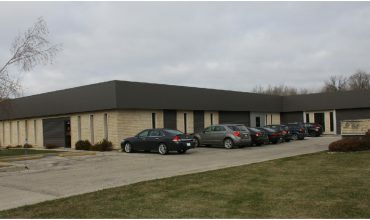 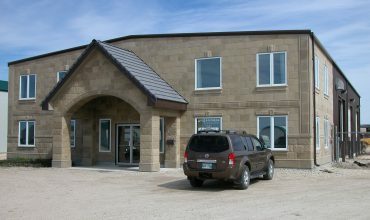 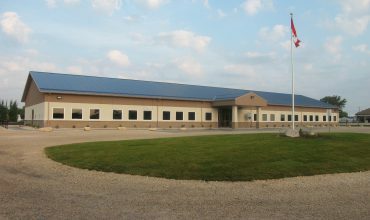 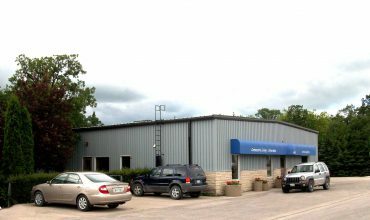 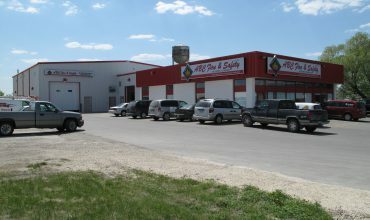 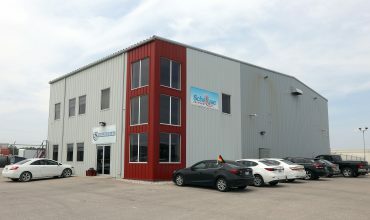 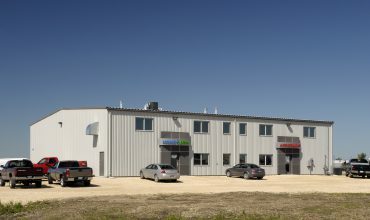 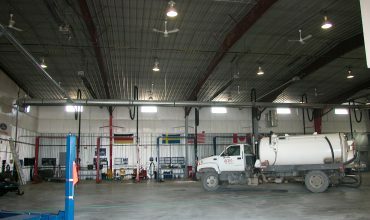 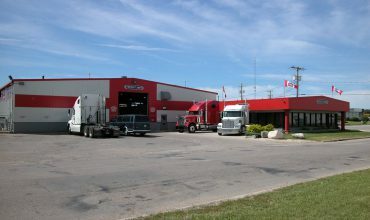 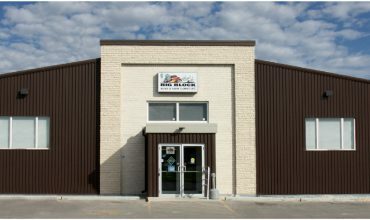 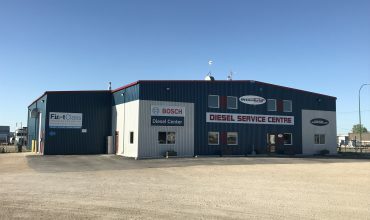 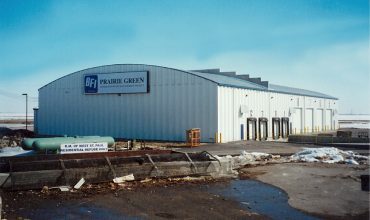 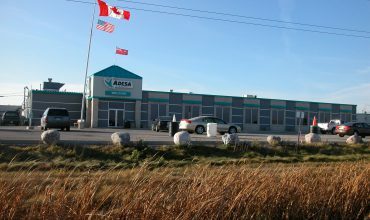 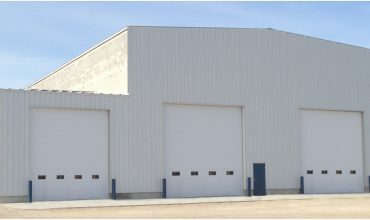 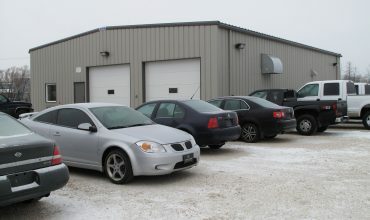 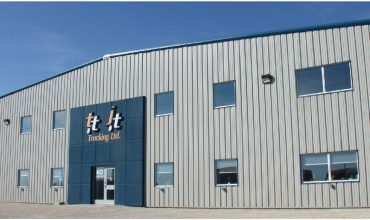 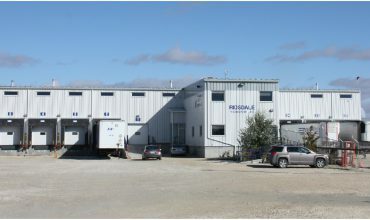 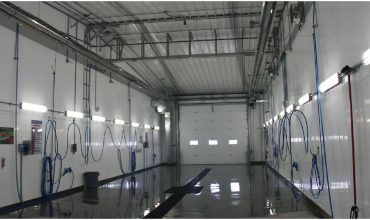 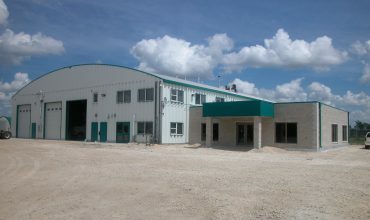 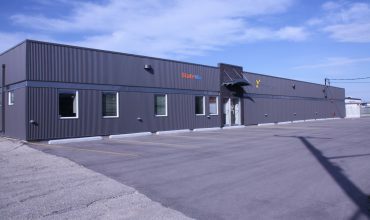 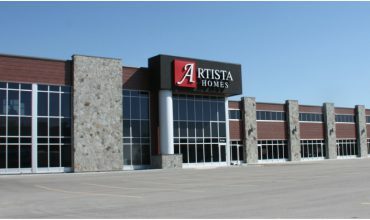 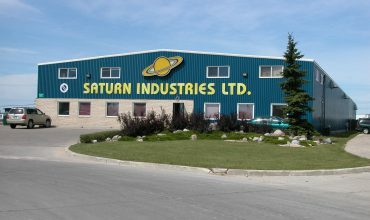 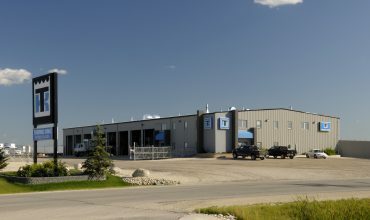 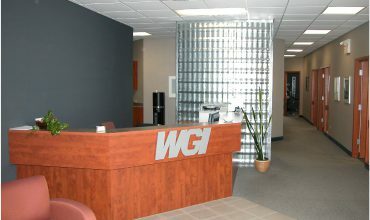 Exterior improvements to this company’s Winnipeg office and maintenance garage were urgently needed. 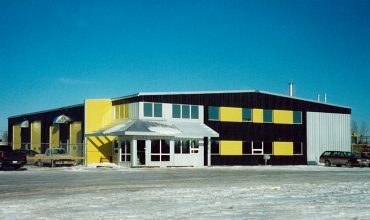 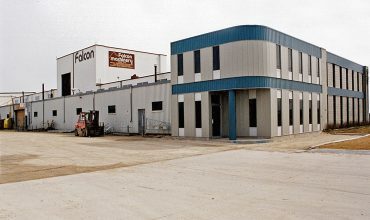 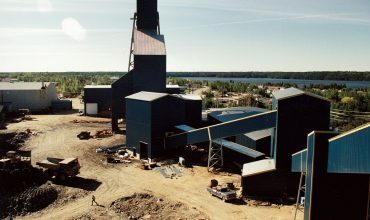 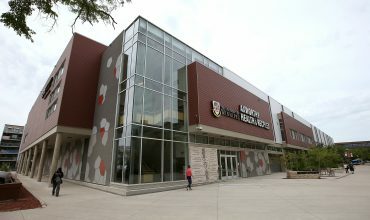 The brown brick was covered over with metal cladding in the company’s corporate colour. 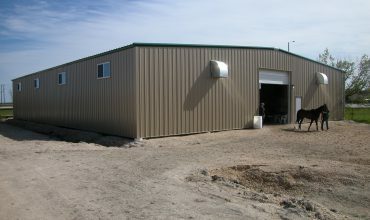 This simple alteration makes for a huge aesthetic change and a positive impact! 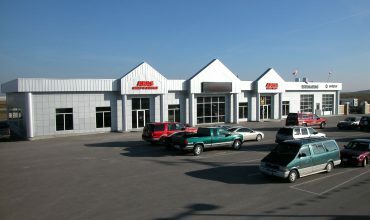 West Coast Motors and Leasing Corp is a used automotive dealership that provides fully inspected vehicles, with financing options and first-rate maintenance and repair services. 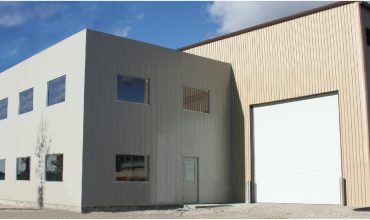 A practical, functional building is how to describe this structure. 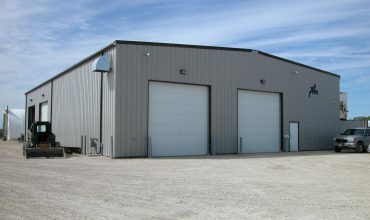 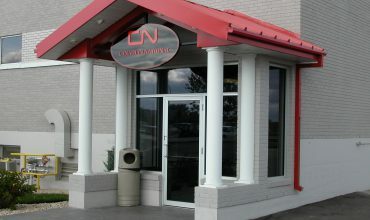 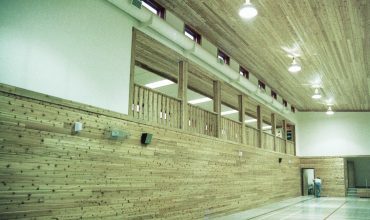 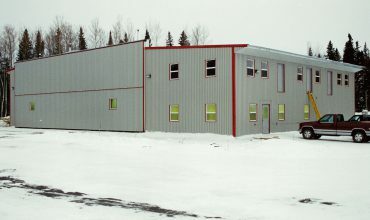 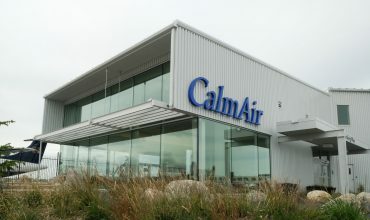 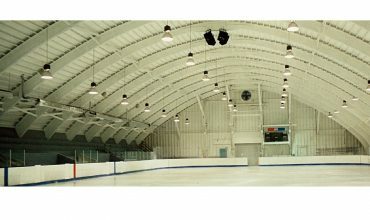 This low-maintenance, basic structure incorporates an office area, washroom, and repair and maintenance area.